Few manufacturers have managed to achieve the blend of style, handling and technology innovation that Fujifilm has combined in the X20. With an Advanced optical viewfinder, super-fast hybrid AF and superb design touches like the combined zoom ring and on/off switch it provides the opportunitiy to get your hands on some of the best of what the X-series has to offer at a more affordable price. The Fujifilm X20 is an advanced compact with a 28-112mm equivalent zoom and a larger sensor than a typical point-and shoot camera. Launched in June 2013, it replaces the Fujifilm X10 with an upgraded sensor that may have the same 12 Megapixel resolution as before, but now employs the same X-trans architecture as Fujifilm’s mirrorless range including the flagship X-Pro1, albeit on a smaller sensor area here. The new sensor also has built-in phase-detect autofocus points, a system previously deployed on the the higher end fixed lens X100S. The other major upgrade is the viewfinder. Renowned for its innovation in developing viewfinder technology, Fujifilm has equipped the X20 with what it calls an Advanced Optical Viewfinder. As the name suggests, it’s an optical glass window-type viewfinder, the advanced part consisting of a digital information overlay that provides focus and exposure information. It doesn’t incorporate a fully electronic viewfinder and lacks the sophistication of the X100S’s hybrid viewfinder, but it’s another first for a compact camera and way in advance of anything else currently available. The X20 retains all of the features that made its predecessor a popular success, including the 28-112 4x optical zoom, 2.8 inch fixed 480k dot LCD screen and a generous complement of physical controls including an exposure compensation dial, control dial, function button and focus mode switch. In my review I’ve compared it with Sony’s RX100 II, the much anticipated replacement for the RX100 which sports a 28-100mm zoom and a slightly larger 1 inch Exmor R back-iluminated sensor, and the Nikon COOLPIX A, which goes one step futher with a DSLR-sized APS-C sensor and a fixed 28mm f2.8 lens. Read my ful review to discover just how big a part sensor size plays in the performance of these three models and which is the best advanced enthusiast compact for you. Measuring 117 x 69.6 x 56.8mm, the Fujifilm X20 is the exact same dimensions as its predecessor and at 353g a mere 3 grams heavier. It also looks and feels very similar, the design hasn’t radically altered from the X10, which is no big surprise, and from the front the only visible difference is the white X20 badge on the newer model. Externally the new advanced optical viewfinder looks just the same, and the magnesium alloy body is covered in the same faux-leather finish. The new model is available in black or silver and black, and both finishes look very attractive. Of the Fujifilm X20, Nikon COOLPIX A and Sony Cyber-shot RX100 II, the X20 is the least compact, which might come as a bit of a surprise given it has the smallest sensor of the three. Unlike the Sony RX100 II it won’t quite fit in your pocket; Fujifilm’s definition of compact, though no less valid, clearly differs from Sony’s, at least where these two models are concerned. The Fujifilm X20 is obviously compact compared with a DSLR or even the X-Pro1 and other X-Series mirrorless compacts, but it’s not pushing the boundaries at the ‘pocket’ end of the marlet. In contrast, the RX100 II is about as compact as camera with a large-ish sensor can be. Nikon had the same goal as Sony, but with an even larger sensor and a less compromising stance on other features as a starting point, ended up somewhere very different. Fujifilm’s philosophy puts styling, physical control and handling to the fore and is less concerned with compactness; so long as you’re wearing a raincoat, it’s pocketable, and compared with a DSLR, it’s compact. As before, the zoom lens is manually operated and also functions as the on/off switch, collapsing to a length of about 28mm when in the off position. To the left of it is the three-position focus mode switch and on the opposite side towards the top is the AF illuminator. The top section is finished in painted metal (on the black model) with two small holes about an inch apart for the stereo microphones to the right of the viewfinder. Likewise, from the top, the X20 looks almost identical to the X10. The shape is the same, a split-level design sloping in an elegant concave curve to a lower panel containing the mode dial, shutter release, exposure compensation dial and a single programmable function button. On the mode dial the X10’s EXR position is replaced by an Advanced SR Auto mode. On the raised left hand section of the top panel there’s the standard hot shoe and on the left hand corner the pop-up flash which is activated by a small switch behind it on the rear panel where, once again, things look so similar that it’s difficult to tell the X20 and its predecessor apart. As I’ve already said, externally, the viewfinders look very similar, though of course in operation the X20’s viewfinder is more advanced with an information overlay. The X20’s viewfinder also has a eye sensor that automatically switches the viewfinder information overlay on and the main screen off when you put your eye to it. A strip of buttons arranged in a column on the left of the screen provides Playback, AE lock, Drive mode and White balance functions. On the right, the main command dial is a thumb-operated wheel next to a generous soft rubber-like thumb pad. The sub-command dial is a control wheel with four push-points for AF point positioning, Flash mode, self timer, and macro modes. X10 owners will spot that the Drive modes, previously on the control wheel and the AF point selection, previously with a dedicated button, have swapped positions. Personally, I think this is a more sensible way of doing things, but it does mean upgraders will need to adjust to the new arrangement. A door on the right side of the body provides access to mini HDMI and USB ports. The latter connects to a computer to download images and video. You can also connect the optional MIC-ST1 external microphone accessory to the USB port. The combined battery and card compartment is on the right side of the bottom plate and it situated far enough away from the tripod bush on the left side of the lens to allow access when mounted on a tripod. The X20 uses the same NP-50 Lithium Ion battery as its predecessor and on a full charge you can shoot 270 images before it runs dry. That’s exactly the same as the X10, and it’s good to know that the new viewfinder hasn’t resulted in a drop in the number of shots you can expect. It’s more than you’ll get from the Nikon COOLPIX A, which manages 230 shots on a fully charged battery but less than the Sony RX100 II with 350 shots. If you’re used to shooting with a DSLR, that number may appear shockingly low, but it’s average for compact with a slim battery like the NP-50. Remaining battery power is indicated in the usual manner with a three-segment battery icon on the screen. There’s an optional AV power adapter should you wish to power the X20 directly from the mains, but to use it you need another optional accessory, the CP-50 coupler. This fits into the battery compartment (you need to take out the battery) and provides an input for the mains adapter. It’s a bit of a clunky and expensive option, but at least it’s there for those who want to use the X20 in a studio. A simpler and less expensive option for most people would be to buy a spare and for all day shooting and events that’s pretty much a necessity. The Fujifilm X20 has a built-in pop-up flash with a quoted range of 7 metres at the Auto ISO sensitivity setting. That’s not quite as powerful as the RX100 II’s, but is average for a compact in this class and provides good even illumination in relatively small spaces and with close subjects. To use the flash you first pop it up by pressing a small switch on the top left corner of the rear panel. Unlike the RX100 II’s flash, which extends on an articulated arm, the X20’s flash is mounted in a solid plastic plinth. Once raised you can use the right position on the control wheel to select from Auto, forced on and slow synchro modes. Flash brightness is adjustable from the menu up to +/-2/3EV in 1/3EV increments and you can also select Red-eye reduction from the menu which works in conjunction with face detection using a program to remove red eye from images. The Fujifilm X20 has a standard hot shoe which will accept an external flash unit including optional Fujifilm units like the compact EF-X20 and the larger EF-42 flash. Both of these are i-TTL compatible, but you need to tell the X20 you have an external flash mounted by setting External Flash to On in the Shooting menu. Both the Sony RX100 II and Nikon COOLPIX A are also equipped with a hot shoe and so can be mounted with an external flash. About the only difference is that these models lack a built in viewfinder, so if you plan to fit an optional viewfinder you can’t use an external flash. The COOLPIX A’s internal flash can also be used for wireless control of external units. Fujifilm has a well-deserved reputation for innovation in viewfinder technology, the company doesnâ€™t merely improve specifications, with bigger, brighter higher resolution electronic viewfinders, but comes up with entirely new ways of framing images. The X20 is no exception and features a brand new viewfinder that, perhaps having run out of apposite terms, they’ve simply called an advanced optical viewfinder. There is a clue in the name, though, essentially this is an optical viewfinder – the light travels through a glass window at the front of the camera, its path is diverted by two prisms and it emerges through a slightly offset glass window at the rear. Because they provide a fixed angle of view, optical viewfinders are more common on models with a fixed focal length lens. The X20 has a 4x zoom so the viewfinder has its own magnification system linked to the lens that maintains the correct field of view as you zoom. And while most optical viewfinders provide at least 100 percent coverage, often more, with a framing guide, the X20’s delivers 85 percent coverage so you get a little bit more on the shot than you see through the viewfinder. There’s a dioptre adjustment wheel to the left of the eyepiece, which provides a circular viewing port surrounded by soft plastic, and on the right a eye sensor. Why do you need and eye sensor on an optical viewfinder? Firstly to switch off the LCD screen but, more importantly to activate the main feature, an LCD information overlay in the viewfinder which provides exposure and focus information. To begin with, the view through the finder looks like any other optical viewfinder; but half press the shutter release and the aperture and shutter speed are overlayed in the bottom part of the screen. The figures are displayed in seven segment LED style in black for normally-lit subjects automatically switching to green for improved visibility in low light. The Shooting mode is also displayed as is any change in exposure compensation or ISO sensitivity. Additionally there are icons to indicate when framing of a close subject will result in parallax error and when a slow shutter speed is likely to result in camera shake. The AF area rectangle and confirmation green circle appear when the focus is locked. If the X20 can’t focus for any reason, for example if the subject is too close, the overlay colour changes to red and an AF! Warning icon displays. Similarly, if the exposure is incorrectly set everything turns red and a triangle indicates whether under or over-exposure is the problem. The X20’s advanced optical viewfinder isn’t as sophisticated as the Hybrid viewfinders of the X-Series mirrorless models or the X100S. There’s no Electronic viewfinder and the amount of information that can be overlayed on the optical view is limited to basic exposure and focus information, but it’s nonetheless a very workable option for the X20 and goes well beyond what you can do with a purely optical viewfinder. Anyone who has been used to an optical viewfinder will find the X20’s advanced viewfinder a big step up, but you can’t help thinking if only there was a grid overlay, or an electronic level, or a live histogram overlay it would be so much better. All of those things would be nice, but it’s the 85 percent coverage and absence of a framing guide that I found were the biggest drawbacks of the X20’s Advanced optical viewfinder. One of the great things about most optical viewfinders is that they show more, not less of the scene that will appear in your shot, allowing you to see what’s just outside the frame and make adjustments to include it, or if it’s moving, anticipate it. And, like any optical viewfinder (except the X-Pro1’s which shifts the frame to account for distance to the subject) the X20’s is subject to parallax error. The closer you get to your subject, the bigger the difference between what the viewfinder shows you and what the lens sees, so you need to estimate how much up and rightward shift is needed to compensate. That said, while the X20’s viewfinder isn’t perfect, it’s pretty good and you soon adjust to its fairly minor limitations. And, of course, the viewfinder isn’t the only means of composing images, the X20 has a 2.8 inch fixed 460k dot LCD screen. The size is slightly smaller than the 3 inch screens of the Sony RX100 II and Nikon COOLPIX A, while you’d hardly notice the difference between the X20 and the RX100 II, the COOLPIX A’s 3:2 screen looks significantly bigger. But the slightly smaller screen size is a minor issue, a more significant difference is that the RX100 II’s screen is articulated where the X20’s is fixed. On an enthusiast compact like the X20, I think a flip-out screen would be a big draw and it’s a little disappointing that Fujifilm has decided against it. Not surprising though, currently only the viewfinder-less X-M1 mirrorless compact system camera features a fold out screen and, to be fair, the presence of a viewfinder makes an articulated screen more of an engineering challenge (though not impossible as the NEX-6 and 7 prove). In other respects the screen works well, proves a decent image that’s viewable under all but the brightest condition and complements the viewfinder well. You can use it as alternative viewer and ignore the viewfinder, and that’s a worthwhile approach in some situations like shooting from high angles, or when you want to use the electronic level, grid, live histogram or other information not available in the viewfinder. Another approach is to use the screen purely for information display and the viewfinder to compose. The Info display mode, one of five options you can toggle through using the display button, turns off the live view and displays shooting mode, exposure details, exposure compensation, metering and focus modes, image size and quality, ISO sensitivity, frame count battery power, surrounding a grid displaying the selected AF area. The Viewfinder eye sensor turns off the screen to conserve battery power when you put your eye to the viewfinder. You can also configure the X20 to manually use either the screen or viewfinder and the screen can be switched off altogether to maximise battery life. The Fujifilm X20 has a fixed 4x optical zoom with a range of 7.1 – 28.4mm which equates to 28-112mm on a full-frame 35mm camera. Unusually for a compact the zoom isn’t powered but manually operated by a mechanically coupled zoom ring on the lens barrel. The zoom ring also functions as the X20’s on/off switch, collapsing the lens when twisted beyond the 28mm wide angle setting to the off position. This arrangement is typical of Fujifilm design in that it’s novel and unorthodox while at the same time providing the feeling of traditional and conventional camera engineering. Paradoxes aside, it just works really well. You can turn the camera on and zoom, enabling framing and capture in a single swift motion. The zoom coupling has a reassuring direct feel about it and the 28, 35, 50, 85 and 112mm (35mm equivalent) zoom positions are marked in white on the lens barrel, so you can set them fairly precisely before raising the camera to your eye if, for example, you want a ‘standard’ 50mm view or an 85mm portrait shot. As I mentioned earlier, the lens zoom is also directly coupled to the viewfinder magnification, so as you zoom in and out so does the viewfinder. Where it not for the corner of the lens appearing in the viewfinder a the wide angle end of the range and the parallax, you could almost believe you were viewing through the lens. The maximum aperture is a respectably bright f2, falling to f2.8 at the 112mm telephoto end of the zoom range. That the maximum aperture only closes by a stop from the wide angle to the telephoto end of the zoom range means you get good low light performance at all focal lengths enabling you to shoot with faster shutter speeds or lower ISO sensitivity settings. It also provides a better chance of achieving shallow depth of field. The Sony RX100 II’s 28-100mm lens starts at a slightly brighter f1.8 aperture, but closes to f4.9 at the 100mm telephoto end of the range. However, aperture isn’t the only determinant of depth of field, focal length, distance to the subject and sensor size also play a significant part. So what sort of depth of field can you expect from the Fujifilm X20 in practice? To find out, I made some comparisons between the Fujifilm X20, RX100 II, and Nikon COOLPIX A, and the results may surprise you. Below are two comparisons of the macro capabilities and depth of field characteristics of the three models. For the first I set the lens to the widest angle position and maximum aperture and got as close as I could to the subject. Getting in close doesn’t just allow you to capture larger detail, the depth of field also becomes much shallower. As you can see from the examples below, All three cameras allow you to get pretty close to the subject at the 28mm focal length. In its super macro mode the Fujifilm X20 can go even closer than the 1cm macro mode limit, but for this test the ordinary Macro focus mode, which has a 1cm closest focus distance was used. As you can see from the comparison below, all three models produce a respectable result with a nicely blurred background, but the COOLPIX A is most blurred, followed by the RX100 II, then the X20. To put it another way in this comparison, the bigger the sensor, the blurrier the background. So how about portraits taken from a typical distance? Can any of the three take a lead in blurring the background? The following shots below were all taken at their maximum focal lengths and maximum apertures. As you can see the Sony RX100 II doesn’t do a great job of blurring the background; it’s a little out of focus, but still pretty distracting. The f4.9 maximum aperture at the full zoom 100mm equivalent just isn’t wide enough to narrow the depth of field sufficiently. Despite its smaller sensor, the Fujifilm X20’s wider f2.8 aperture produces a slightly better result at the telephoto end of the zoom range. The worst of the bunch is the Nikon COOLPIX A. Its 28mm fixed lens not only renders the background almost as sharp as the subject, the wide angle perspective makes for particularly unflattering portraits. So if you were looking for a small camera which can blur the backgrounds on portraits, you’ll still be looking at an interchangeable lens model, like the smaller mirrorless cameras. I have some more shallow depth of field examples in my Fujifilm X20 sample images gallery. The X20’s lens is stabilised with four modes available from the Q menu. Shooting only mode applies stabilisation when the shutter is half pressed, whereas in Continuous mode it’s active all the time. While this makes a difference when composing shots using the screen, you obviously won’t see any difference when using the optical viewfinder, so Shooting Only mode, which uses less power would be the best option in that case. There are two further modes which apply motion detection and select a faster shutter speed to freeze subject movement. That’s undoubtedly a useful addition for novices, but I suspect enthusiast photographers will be happier keeping control of the shutter speed themselves. The X20 lacks the ability to restrict stabilisation to a single plane for panning, but Optical Steady Shot on the RX100 II doesn’t offer a panning mode either and the 28mm fixed focal length lens on the COOLPIX A isn’t stabilised. To test the X20’s stabilisation I set it to Shutter priority mode and with the lens zoomed in to the 112mm equivalent position took a series of shots with the stabilisation off, then set to the shoot only position. To reduce the potential for camera shake I used the optical viewfinder for these shots, with the camera pressed against your face there less scope for movement. As you can see from the crops below the X20 can be hand held at shutter speeds down to 1/8th with sharp results. That’s about four stops slower than the photographers’ ‘one over the focal length’ rule would suggest is advisable and a very good result for the X20. 100% crop, 7.1-28.4mm at 28.4mm 100 ISO 1/8 image stabilisation Off. 100% crop, 7.1-28.4mm at 28.4mm 100 ISO 1/8 image stabilisation On. The Fujifilm X20’s X-Trans sensor and newly developed EXR Processor II provide it with a range of shooting modes broadly equivalent to those found on the X-Series mirrorless compact system range. Like its predecessor it has a mode dial and, in addition to the PASM modes there’s Auto, Advanced SR Auto, SP (Scene position), Adv, which applies special effects filters, Movie, and finally two custom positions C1 and C2. The Advanced SR Auto mode replacing the EXR mode of the X10. The Auto mode is a no frills Program auto lacking scene detection, most controls are disabled, but you can set the drive mode to continuous, set macro mode, access the Q menu for some settings and even use the AE lock button. Switch to Advanced SR Auto mode, though, and you get the benefit of auto exposure with scene detection. Advanced SR Auto uses scene detection to select an appropriate scene mode from a possible 11 options including Night, Night (Tripod) Macro, Sunset, Snow Sky and Scenery. It can also tell if you’re taking a portrait in any of the above situations, and if the subject (human or otherwise) is in motion. The X20 includes the Advanced effects filters introduced on the X100S. These include Toy camera, Miniature, Pop colour, Dynamic tone, Soft focus, and a range of partial colour effects. There’s also a high key and Low key effect. Unlike the Sony RX100 II, which allows the use of some effects (though not Miniature) with movies, the X20’s effects can only be used for stills shooting, if you press the movie record button with the mode dial in the Adv position, the X20 will start recording video, but no filter will be applied. That’s a bit of a shame as some effects, like the ubiquitous Miniature mode, work better for movies than they do for stills. There are two further modes available from the Advanced menu. Pro Low light shoots four images and produces a low noise composite and Multiple Exposure allows you to shoot two frames which are then overlayed into a single image. In modes that support it the X20 provides exposure compensation up to +/- 2EV and 3 frame auto exposure bracketing up to +/- 1EV in 1/3EV increments. 3-frame bracketing is also available for ISO sensitivity, Dynamic range, and the film simulation modes (see below). It’s a shame the bracketing is limited to three frames, which rules it out for serious HDR work. The Sony RX100 II is similarly limited, but makes up for it with its Auto HDR mode which shoots three frames in an exposure range up to 6EV and combines them automatically in the camera to produce a single HDR composite. The Nikon COOLPIX A is similarly limited to three-frame auto bracketing, but can extend to +/- 2EV in 0.3EV increments. The X20 also includes the film simulation modes that reference Fujifilm’s legacy film stock. The default colour rendering mode is Provia, replicating Fujifilm’s colour slide film stock, there’s also Velvia – a high saturation transparency film popular with landscape photographers, and Astia (for portraits). The Pro Neg Hi and Pro Neg Std, options are followed by Black & White and a range of filtered monochrome options and finally sepia. Finally, it’s good to see that Fujifilm has included the Motion Panorama mode from the higher end X100S, and has updated it to provide additional modes with a wider field of view. Motion Panorama is one of the options available from the menu when the mode dial is in the Adv position. the various panorama modes work best with different zoom settings and the on screen zoom bar turns white to indicate when you’ve got the zoom correctly adjusted. You can then choose the pan direction and camera orientation followed by the angle of view. Here’s where the X20 goes further than any other compact, including the Sony RX100 II. In addition to 120, 180 and 360 degree panoramas, it offers a fourth option for 360 degree panoramas that loop seamlessly, otherwise known as cylindrical panoramas. It works, but because both ends of the panorama need to be stitched in the camera it’s quite fussy and will fail if you don’t keep the camera level or there are objects in close range. In which case you just get the ordinary 360, or part of it. 360 degree panoramas have a maximum resolution of 11,520 x 1624 if shot in portrait orientation and 11,520 x 1080 in landscape. You can play back cylindrical panoramas on the X20’s screen, but they’re standard .jpg files and if you open them in an image editor you’ll see a wide panoramic shot. The ends are a pixel perfect match though, so with the right software you could create a seamless cylindrical VR panorama for on-screen viewing. So if you’re really into your panoramas, the X20 provides the best in-camera options of any compact. 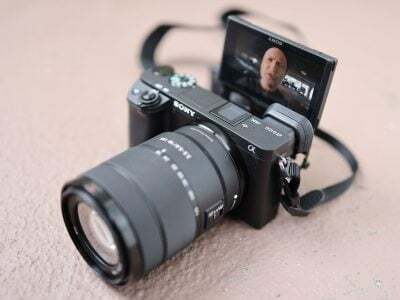 In an improvement on its predecessor, the Fujifilm X20 offers a 1080p60 best quality video mode with two further options, 720p60 and VGA (640 x 480) at 30fps. The X10 offered the same resolutions, but at a maximum 30p frame rate. There are also three high speed modes, 640×480 at 80fps, 320×240 at 150fps and 320×112 at 250fps, providing slow motion playback speeds (at 30fps) of nearly 3x, 5x and just over 8x respectively, slightly faster than the three modes available on the X10. Video is encoded using the h.264 codec at an average bit rate of 36Mbits/s and saved in a QuickTime .mov file. Stereo sound is recorded via twin mics located on the top section of the front panel. Like all X-series compacts and mirrorless system cameras, the X20 lacks a dedicated movie record button, so to shoot movies you must first select the Movie mode position on the mode dial. This puts the screen into 16:9 mode with black bars top and bottom. Here’s another drawback of the Advanced optical viewfinder incidentally, with no 16:9 guides, framing with the viewfinder involves a degree of guesswork that renders it pretty well unusable for movie shooting, so you’re restricted to the screen. Exposure control, as on the earlier X10, is pretty basic and mostly determined automatically, but the auto exposure control has been updated and now features scene recognition. The new Movie Scene Recognition feature can automatically recognise six types of scene and optimise the settings for the best results under a variety of shooting conditions. Other than that you can set the exposure compensation dial prior to shooting and pressing the Q button gives you the option of changing the resolution, white balance, or film simulation mode. So while you can’t apply the Advanced effects filters to movies you can at least shoot with different colour rendering options including filtered monochrome and sepia, an example of which you can see below. The X20 has one further enhancement that should affect video quality. Its new sensor incorporates phase-detect AF points on the chip to augment the contrast-detect AF system. This works in both movie and still modes, but its effect when shooting video is much more apparent as it’s not just the end result that matters, but how you get there. Even the very best contrast detect AF systems can’t tell whether your subject is behind or in front of the current focus position and must therefore focus through the subject before returning. At its worst, this can result in several back-and-forth passes before the AF finally settles on the subject. With its phase-detect sensors the X20 is able to tell whether the subject is front- or back-focussed and hone in on it directly, generally nailing the focus first time. 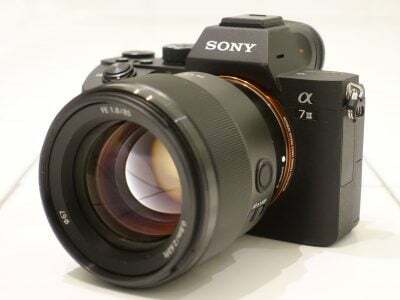 That’s the theory at least, in practice, many hybrid AF systems haven’t fully delivered on that promise, and the X20’s C-AF performance was actually inferior to the contrast-detect systems of the Sony Cyber-shot RX100 II and the Nikon COOLPIX A. If you look at my panning examples below you’ll see that the AF has a tendency to jump about when panning and zooming and in my coffee cup continuous AF test is slow and hesitant. While it may offer speed advantages for stills shooting the X20’s hybrid AF system clearly isn’t optimised for video and for certain situations you’d be better off switching to single AF mode, or even manual. Fujifilm recommend a class 10 card or faster for shooting movies. If you like to shoot long movie clips you’ll be more than a little disappointed at the maximum clip recording times the X20 offers. In the best quality 1080p60 mode the maximum clip length is 14 minutes increasing to 27 minutes at 720p. While these short clip lengths don’t in themselves rule the X20 out for serious movie shooting, along with all the other factors, lack of a dedicated movie record button, limited exposure control, poor AF performance, unsuitability of the viewfinder, and lack of effects filters, it all adds up to a less than impressive performance. The plain truth is that the X20 and other X-system models are first and foremost stills cameras, video is offered on an equal footing with a number of other secondary features. If video is important to you, virtually any other advanced compact will do the job better including the Sony RX100 II and Nikon COOLPIX A, both of which offer full control over exposure, better AF performance, longer single clip recording and, in the case of the RX100 II, the ability to apply some effects filters. All of these clips were shot using the X20’s best quality 1080p60 movie mode. For this handheld panning shot stabilisation was on. The X20 produces good quality video with a high level of detail. The stabilisation damps down smaller movements but is a little jittery in places. Nnotice how the continuous AF jumps around just before the end of the pan. There are also some disconcerting exposure changes which are visibly stepped. Stabilisation was turned off for this tripod-mounted shot. Two things are particularly noticeable here. Once again there’s the stepping changes in the exposure which are very visible and off-putting. If that on its own wasn’t enough to render the clip unusable, the flitting continuous AF puts paid to it. Quality is good on this low light interior pan with little noise. The AF problem is reduced, but it’s still happening and once again the exposure steps visibly in the pan past the windows. This coffee cup clip tests the X20’s continuous autofocus. With the camera zoomed in a little I’ve started shooting the close up of the coffee cup, then panned up to the bar and back again. Once again, the X20’s AF performs disappointingly, failing to acquire focus on returning to the cup until I move the camera around a little and even then with a good deal of back and forth hesitancy. While you can’t apply Advanced filter effects to video on the X20, you can use the film simulation modes. This is sepia. The X20’s handling, not surprisingly, shares elements of other X-series models, but has some unique characteristics of its own. The most obvious being the lens zoom ring with its dual on/off function. With its advanced optical viewfinder it has a similar feel to other viewfinder equipped X-Series models, though, despite the ‘Advanced’ tag this is in fact a more basic viewfinder than on the other models, providing less in the way of information and feedback. Like the X-M1, it substitutes the old school aperture ring and shutter speed dial for a mode dial, and opts for the widely used main and sub-command dial approach for exposure control, with a dedicated dial for exposure compensation. It also follows the X-M1 in the regrettable way it disables program shift when DRO is set to Auto, which it is by default. Like other X-series models, the X20 menu system is arranged on a series of shooting and set-up tabs. However, these are several pages long and searching inevitably turns into a bit of a scroll-fest. That’s not a huge problem as most of the frequently accessed features are available on the Q menu. The arrow pad is used to highlight a setting on the grid which can then be changed using either the main or sub-dial. It would be nice to be able to customise some of these settings, for example an entire row is taken up with tone, colour and sharpness controls, which I’d bet will be largely ignored by many and certainly won’t be frequently changed. The X20’s autofocus system benefits from a radical upgrade from its predecessor thanks to its new sensor which incorporates phase-detect AF points. This provides the X20 with a dual-mode focus system which uses either the contrast-detect system or the new phase-detect system depending on the subject and lighting conditions. Hybrid AF isn’t new, it’s used by a number of other manufacturers including Nikon, Sony, Canon and more recently Olympus on their mirrorless models. It’s not so common on compacts though and this is the second fixed lens compact Fujifilm has endowed with dual mode AF, following on from the higher end X100S. 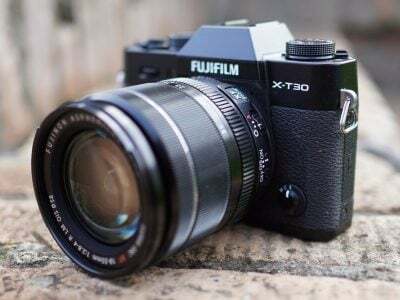 In theory, the hybrid system should provide faster, more reliable AF and Fujifilm claims AF speeds as fast as 0.06 seconds for the X20 – even faster than was claimed for the X100S. Whether the X20 can actually focus in a little over a 20th of a second (though the tests are conducted under CIPA conditions so I don’t doubt it) it’s hard to say, but it is significantly quicker than the COOLPIX A. In good light, with distant subjects the X20 locks focus and beeps almost instantaneously. I also tested the X20 alongside the Sony RX100 II and it’s faster than that too. The X20 has three AF modes, AF-S, AF-C and Manual which are selected by setting a switch on the left side of the body. In AF-S mode you can select one of 49 areas, but you can’t change the size of the AF area. Push the focus mode selector to Manual and you can adjust the focus manually using the rear control wheel. With Focus check selected in the menu the screen magnifies so you get a better view of what you’re trying to focus on and a distance scale is also displayed at the bottom of the screen. Like the Sony RX100 II, the X20 also offers focus peaking, which surrounds in-focus detail with a white halo. It’s quite effective, but unlike the Sony system you can’t change the colour and even on the highest of the two levels the effect is quite subtle. It’s a real bonus in low light conditions, though, where its often difficult to tell if the focus is spot on. The Fujifilm X20 offers full resolution continuous shooting at one of four speeds, 3, 6, 9fps, and 12fps. Though the printed manual states the top 12fps speed is restricted to 6 Megapixel M sized images, this isn’t in fact the case and it shoots full 12 Megapixel images. The quoted burst length is 39, 20, 14, and 11 frames respectively and the focus and exposure are set on the first frame regardless of the selected speed. That’s an improvement on the X10 which offered a 10fps 6 Megapixel reduced resolution mode in addition to 7, 5, and 3fps at full resolution. In addition to the auto bracketing modes the Drive mode menu also offers a Best Frame capture feature which shoots without saving when the shutter is half-pressed, then when you press all the way down records 8 frames split, according to your preference, before and after the shutter button was pressed. To test the X20’s continuous shooting performance I fitted it with a freshly formatted 8GB Sandisk Extreme Pro UHS-1 SD card. I set the fastest full resolution 12fps mode, set the picture quality to Large Fine JPEG, turned the stabilisation off, selected a shutter speed of 1/500 and held the shutter release down. The X20 fired a burst of 10 frames at a rate of 12.5 fps, so a slightly smaller burst than quoted at a slightly faster rate. With the shutter held down the X20 continued to shoot at a rate of around 3fps. Switching to RAW files, the X20 managed a burst of 8 frames at 10fps. This time, with the shutter held down the X20 continued to shoot at around a frame per second. So the X20 offers a real improvement on the continuous shooting performance of its predecessor, with a 10 frame full resolution JPEG burst at slightly faster than 12fps. It’s marginally better than the Sony RX100 II which can shoot a slightly longer 13 frame burst but at a slower rate of 10fps. The Nikon COOLPIX is the laggard of the bunch, with a 4.5fps top rate, though it can maintain it for a lengthy 100-frame burst. The problem with both the Fujifilm X20 and Sony RX100 II is that, while the frame rate is respectably fast, the short burst barely lasts for a second, which isn’t long enough to capture sustained action. 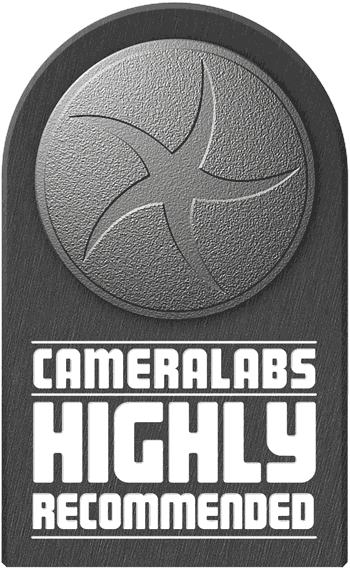 For really effective and sustained fast continuous shooting you still need to look to a mid range DSLR or mirrorless camera. One thing that does work in the X20’s favour though is its Advanced optical viewfinder which, unlike a live view screen or electronic viewfinder, lets you keep track of the action in real time throughout the continuous shooting burst. The X20 uses a newly developed sensor which is a physically smaller version of the X-Trans CMOS sensor developed for the X-Series mirrorless compact system camera range including the flagship X-Pro 1. The System cameras and the X100S use an APS-C sensor, but the new sensor in the X20 is a 2/3 inch design. It’s not only smaller than the higher end X-System cameras but also other large sensor compacts like the Nikon COOLPIX A, which also has an APS-C sensor and the 1 inch sensor of the Sony RX100 II. That said, it’s significantly bigger than the 1 / 2.3in sensors typically found in compact cameras. The key difference between X-Trans and conventional sensors is the colour filter array. In a traditional digital camera sensor, each photo site is covered by a coloured filter arranged in a repeating pattern. The most common pattern uses a two-by-two square array with one red, one blue and two green filters; this is known as the Bayer pattern after the Kodak engineer who invented it. Software then interprets this data to generate a full colour image in a process known as de-mosaicing. Fujifilm’s X-Trans sensor claims to avoid moiré by employing a different pattern of filters which more closely resembles the random nature of film grain. So instead of the traditional two-by-two Bayer pattern, the X-Trans sensor employs a six-by-six repeating pattern with a less regular arrangement of coloured filters within. You can see how this looks in the diagram opposite, reproduced from the Fujifilm brochure. Fujifilm reckons this new pattern is so effective that moiré is reduced to an extent that eliminates the need for a low-pass filter altogether. The more complex pattern does, however, require a more intensive de-mosaicing process to generate a full colour image, and to cope with the number-crunching, Fujifilm has equipped the X20 with its newly developed EXR Processor II as used in the X100S. Moving onto the actual photos, the X-Trans sensor delivers 4:3 shaped images with a maximum resolution of 4000×3000 pixels. 16:9, 3:2 and 1:1 cropped aspect ratios are also available, and each shape is additionally offered at two lower resolutions if desired. Images can be recorded as JPEGs, RAW files or RAW plus JPEG. The sensitivity ranges from 100-12800 ISO. Auto ISO can be limited to a maximum of 400 to 3200 ISO. Like the X100S, the X20 is fitted with a leaf shutter. This has a shutter speed range of 30 seconds to 1/4000th, but one of the limitations of the leaf shutter is that is has a maximum speed of 1/1000 with the aperture wide open at f2.0. That limits its usefulness for achieving shallow depth of field in very bright conditions. To see how the quality of the Fujifilm X20 measures-up in practice, take a look at my Fujifilm X20 quality and Fujifilm X20 noise results pages, browse my Fujifilm X20 images, or skip to the chase and head straight for my verdict.